Signarama, the signage franchise, has been immensely successful since opening its first store in New York in 1986. Having gone from strength to strength over the past three decades, today the company has over 900 outlets in 50 countries around the world. However, while Signarama UK has been successful at times, it hasn’t been as exceptional as it could have been. “Previous master franchisees struggled for various personal reasons, including ill health,” says Aliyyah-Begum Nasser, director at Signarama UK. This meant that while the company had been stable, it hadn’t grown to its full potential. Fortunately, Nasser is confident that she and her father, Salim Giga, can change that. “We can see that it has a good foundation to build on,” she says. Strengthening that foundation has been their main focus since taking over the British operations in 2016. But Nasser and Giga wouldn’t have had the chance to give it a go if it hadn’t been for a chance encounter in Miami. “Dad was at a conference there selling his wares and happened to bump into Jim Tatem, the president of Signarama,” she says. “That was the moment it really began for us.” As the two men had a chat, it turned out that they could help each other out with a business opportunity: Giga was looking for his next challenge and Tatem was searching for someone to take over the British franchise. Given that Nasser’s father had spent roughly three decades in the printing industry and she had years of experience working as a business consultant, they understandably felt like they had the competences needed to make Signarama UK a success. “We thought that we could probably make it work,” she says. So in 2016 they decided to give it a go and became the global network’s latest master franchisees. Inspired and energised by the training, the team returned to Blighty to turn the company around. But to do so, they had to ensure franchisees were on board with the changes they were going to implement. “To do that, the first thing we had to do was to rebuild the relationship with our franchisees and ensure that we established a solid community,” she says. 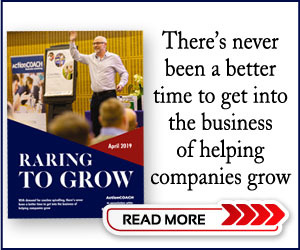 “Because the previous master franchisees had been a bit unstable, many franchisees hadn’t received the support they wanted.” Recognising the need to rebuild the trust, the new master franchisees went on the charm offensive. For instance, to signal the new focus of the company they rebranded the UK headquarters as the business support centre. Additionally, Nasser and Giga made listening to the franchisees’ feedback a priority and ensured that they were open about the direction the company was going. As an example, the master franchisees ensured that the network knew everything from the shows they were attending to what PR firm they’d hired. And it seems as if these efforts have paid off. “A lot of franchisees have expressed recognition of how the culture is changing and that it is more open, honest and transparent,” says Nasser. 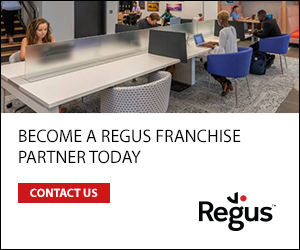 Having rebuilt this sense of trust, Nasser and Giga are now on the lookout for new franchisees to come and join their network. “You don’t need to have specific signage skills or business background,” says Nasser. “But we need you to be dynamic, have energy and be hungry. If you have those skills, then you’ll be fine.” That being said, the new master franchisees are particular about the people who join, which is the reason they aren’t just going to exhibitions but are actively seeking out the best people in territories that excite them. Whenever they find one, they reach out and ask whether or not this individual has ever considered looking for additional opportunities. Their ideal candidate works in a related field like graphic design, in television or already has a printer shop. That being said, Nasser is adamant that the network shouldn’t grow at the expense of quality. “Every franchise wants to grow in numbers but I want to make sure we get energetic franchisees that are right for the culture,” she says. In light of this, while they may be on the lookout for new franchisees, the number of people in the network has remained a solid ten since they took over. As a part of their efforts to grow the network, Nasser and Giga launched the new initiative Signarama Light in January this year. “It’s a way for people to enter the network and get all the benefits of the brand without the risk of running the production,” she says. The model enables small-business owners a chance to try out becoming a part of the brand without buying a franchise. Selling the services whilst outsourcing the production to regular Signarama franchisees, Nasser hopes that small-business owners who dip their toes will eventually join the network as full partners. “My colleagues in France started this model and a lot of their Signarama Light shops have developed into full centres,” says Nasser. “There is no pressure to do so but it is the trajectory that we are seeing.” At the time of writing, the first Signarama Light model is just about to open and there are two more coming in the pipeline. From having rebuilt trust within the network to launching new initiatives to grow the business, it certainly seems as all the signs point to Nasser and Giga being on track to making Signarama the brand of choice for people looking to become signage franchisees.